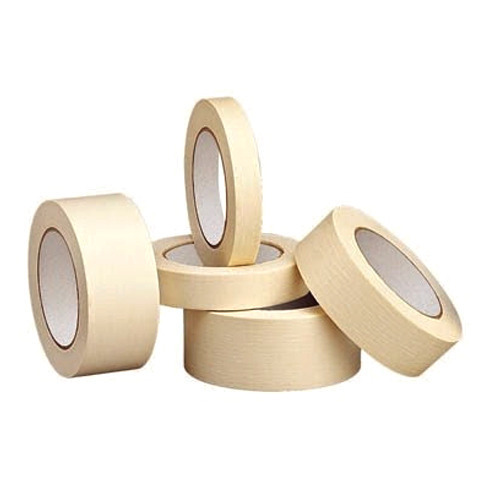 Banking on our well-versed manufacturing unit, we are successfully engaged in offering the best quality Masking Tape at reasonable rates to the clients. Suitable for packing and sealing, this tape has its excellent requirements in the packaging industry. Moreover, this tape can be purchased in different role sizes and thicknesses. Established in the year 2011, Aim International has wide market recognition for wholesale trading of Self Adhesive Tapes. We a customer centric & quality conscious organization endeavor to provide qualitative range of Double Sided Acrylic Foam Tape, Seam Sealing Tape, Bopp Packing Tape, Foam Tapes, Double Sided Tissue Tape, Copper Foil Tape, Polyester Tape and Conductive Grid Tape., etc. Our continuous research & developments in the field of adhesive making have enabled us to deliver highly effective adhesive products. Further, our adhesives get immense appreciation from our clients owing to their quick & strong adhesion, non-flammability, and water resistance. All our products are prepared under a quality controlled chemical processing environment to achieve set standards. We offer our products with the brand name of Sumax, Premium Tapes, Nitto, Wonder, Tesa and 3M.